In January we decided to check out what openFrameworks was all about. It’s actually pretty good. 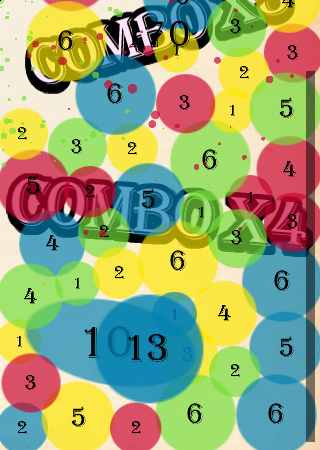 So I decided to go along and do an iPhone game about matching stuff with it. Unfortunately I don’t have the iPhone build since I didn’t really bother to finish the game properly and submit to the AppStore, but I’ll probably get around to it at some point. Mean while here’s the PC build of the game. 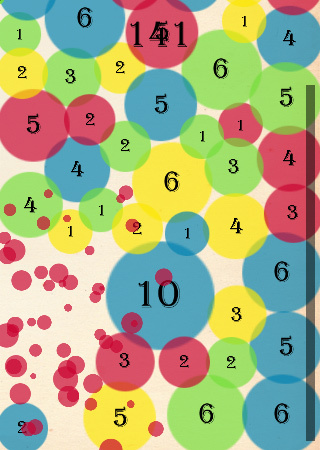 A game about counting, matching and popping bubbles. Bubbles pop if they have the same color and number. You can combine bubbles by dragging them to each other. 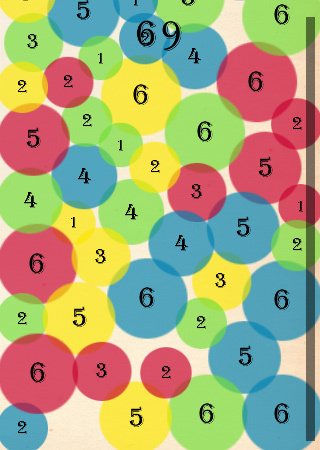 The color of the bubble will be determined by which of the bubbles had the bigger number. Your job is to pop bubbles in order to get the highest score possible in the limited time you’re granted. BUBBLES POPPING.wav by Hell’s Sound Guy. “Acoustic Guitar” -pack by NoiseCollector. The samples are licensed under the Creative Commons Sampling Plus 1.0 License. The game uses OpenFrameworks under the MIT license. The game uses Erin Catto’s Box2D physics engine under the MIT license. The game itself is under the Creative Commons Attribution-Noncommercial-Share Alike 3.0 license. Edit: The problem with the executable should be now fixed. You are currently browsing the Kloonigames weblog archives for March, 2010.